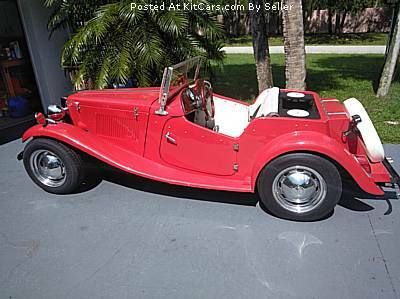 Kit is a 1980 it is a Volkswagen chassis, and engine 1600cc.actual mileage unknown. Brand New wiring, battery, brakes,brake fluid reservoir,gas tank, fuel pump. Runs well. Needs brake light switch replaced, and bottom connectors for brake lines running from reservoir to master cylinder.